islamwich serves up a slice of Islamic life practiced in and around American culture. islamwich is an effort to shed some reality on the Western myths that surround the Muslim world in the hopes of creating better understanding so we can all live in a happier, healthier, and more informed world. If you are a non-Muslim who would like to know more about Islam and the people who choose to live an Islamic life, this blog is for you. 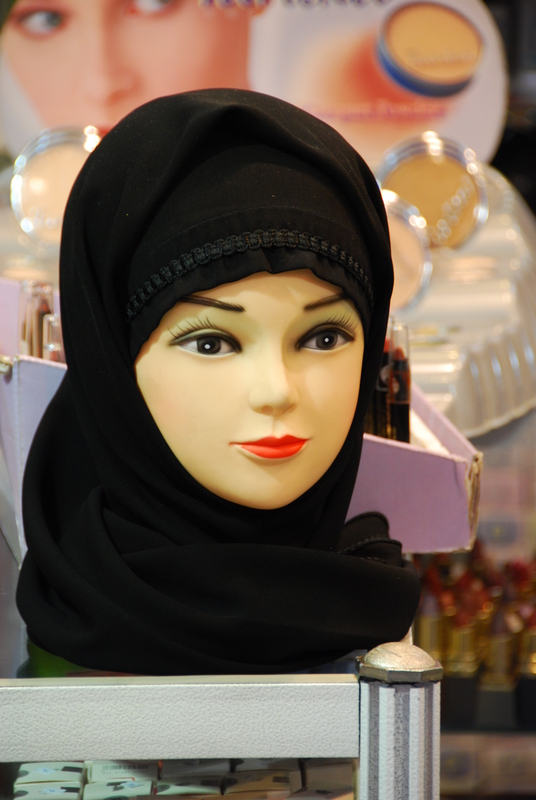 If you are a Muslim who loves cooking halal, diy-ing hijabi stuff, and/or you want to read stuff about American Muslims, this blog is for you. If you are a human being who likes people who are passionate about justice for all, this blog is for you. 1. stay away from politics. it really isn’t going to get us anywhere but angry because too often too many people think of politics in terms of emotions instead of facts. 3. never tell anyone their religion is wrong. to each person is their beliefs. Corbin the Elder, is a writer, public speaker, an up-cycler, a Creole American, and … drum roll please … a Muslim convert living in the dirty south, y’all! Read about her journey to Islam here and here. She contributes to Al Jumuah Magazine, Aquila-Style, About Islam, MightyMuslimah.com, and Gulf Coast Newspaper. And her work has been known to grace the pages of CNN and The Washington Post. Corbin does not always speak in the third person, but does hold a degree from the University of South Alabama in literary humor (English) with a minor in lies about the olden days (History). A convert to Islam since 2001, she has spent a great deal of time studying Islamic thought, women’s rights, converts’ issues, and sectarianism. Corbin feels it is time to stop listening to those from any ideology who call for extreme measures, and time to start focusing on similarities and cooperation. Siam I am is not always this pixelated but she is a native of Mobile, Alabama, converted to Islam approximately a decade ago. Currently, she resides in Muscat, Oman, with her husband and daughter, where she teaches English in the Foundation Programme of the country’s top university. When in the US, she can usually be found navigating between Tennessee, Georgia, Florida and Alabama, as these are the four corners of her heartland. In her free time, she enjoys reading, writing and spending time with her family doing various activities. Her intention is to share her perspective on being a non-Arab Muslim living in an Arab Muslim world. Kaighla, the mother of Dayo, is a writer and story-teller extraordinaire. Having survived 4 years as an unwilling co-wife in rural Egypt and lived to tell the tale, she muses on ways to let go of her rage and bitterness at her website Lemonade for Bitter Souls. And you can, too! Her ruminations can also be found on Coming of Faith. Before embracing Islam in 2009, she was an evangelical Christian who attended Bible college. Then, she traveled the world as a missionary before totally falling off the bandwagon of Christianity. Her newest favorite thing is meditation and trying to be more mindful. Her other favorite things include procrastinating, eating chocolate, fixing things, making things, & taking risks. If you would like to add to the conversation, please email islamwich@yahoo.com to submit your idea for a blog post. Elmasry the Artisan is an artist at heart, with too many years of experience in her field. When she is not working for L’Oreal she hangs out with her fellow bloggers here at islamwich making things pretty (a.k.a. islamwich’s in-house graphic designer). She is a Miami native, yes there are people who are from Florida. She currently lives in New York with her family, dearly missing the warm weather. She also looks forward to opportunities abroad. One day 10 years ago, Nicole thought it might be a great idea to finally convert to Islam, a religion she had been studying for some time. Now she enjoys creating (often sarcastic and sometimes serious) art for islamwich. Lawrence the Younger is a doll (see pic) and prefers to write about herself in the first person: Hi, my name is Gracie Lawrence, also a New Orleans native and as such-constantly craving snowballs and king cake. Amongst other laboratory work, I also dabble in the white arts of cooking up a storm for my ferociously hungry family. I also will tell you what I am NOT- I am not an Islamic scholar, but I am a wide-eyed student of culture both East and West, fascinated by Science, interested in Psychology, and other belief systems such as Atheism and Unitarian Universalism, and look forward to contributing to this blog!